Dav is a newly emerging company that is using blockchain technology to try and solve a worldwide issue of the future….keeping our automotive transportation secure from hacking and using DAV tokens to facilitate a handful of services it will help to provide. Let’s take a closer look at the ways to earn and use DAV tokens. Earn DAV token by providing transportation service. Assuming we will all have self-driving cars, you can essentially let your ‘self-driving’ car give rides to passengers when you’re not using it. In theory, this could potentially work in a commercial setting, ie. if Uber decided to have a fleet of automotive cars they could potentially use DAV to facilitate this. Also, DAV says that you could potentially have your drone help with deliveries around town. Amazon, eat your heart out! You can send a package, book a ride, or have lunch delivered instantaneously. This would be pretty handy especially out of the normal 9–5 working hours when you need things delivered to meet deadlines. Enhance the efficiency of your business and supply chains. Benefit from the efficiency of service providers who keep your vehicle charged, clean, and operational. By doing this you will be able to earn DAV tokens for providing this service. DAV ICO scores 8/10 for token economics, but let me tell you why. Dhasave an ambitious task ahead of them trying to capture the ever-expanding market that is the autonomous future of our day to day lives. This requires some ambitious cash, so raising 38 Million although sounds a lot, in this market is chump change. There is a healthy amount of tokens available to the public too at 40%, it could have been more but this is definitely more than reasonable. 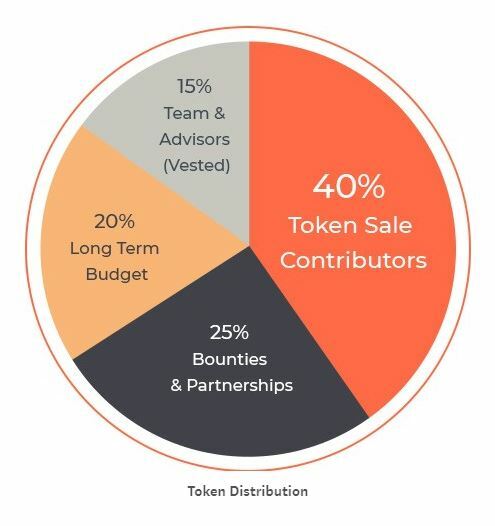 25% of the token distribution is allocated to Bounties & Partnerships which is also very generous, although it would be nice to know what percentage will be given to bounties alone, it could be 1% or 24%, who knows?! Where I marked them down slightly was the fact that 45% of the capital raised will be going to research & development. This shows that they have great ideas in the pipeline, but doesn’t mean that these things can be actualized and maa de reality. I want to invest in things that WILL be developed not things that MIGHT be delivered. To me, this means it loses value slightly, but when you are trying to create a whole new industry of the future this is expected. As it’s still early days i have given them the benefit of the doubt, and not rated them any lower than 6. It’s still 2 months before the public sale so i imagine by then all social media sites will have blown up. They are also visible on ICO Drops which is good and they seem to be very active on twitter posting videos & updates. They are trying to build trust by introducing the team members & showing their transparency, where members each publish a brief daily video reporting their accomplishments to the community which will help build a following. So they are going in the right direction that’s for sure. 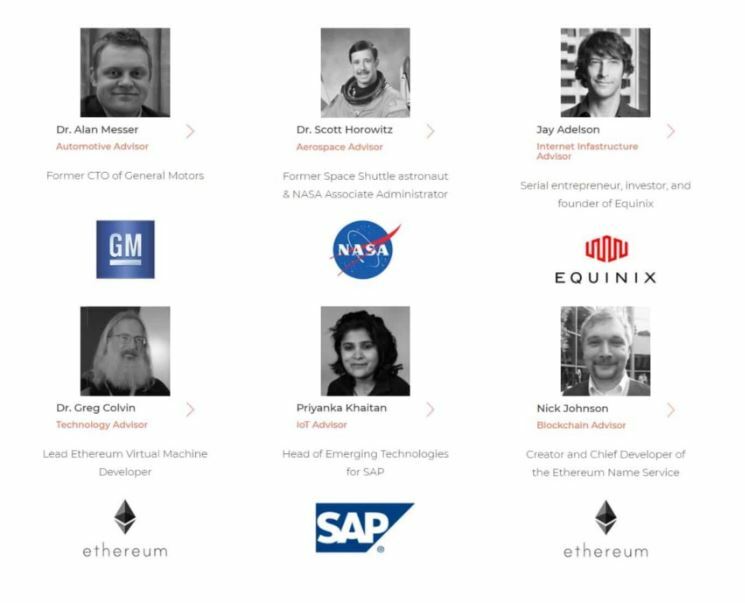 Personally, I feel that this project is very ambitious for the team running DAV, but with the stellar advisors on board, they are more than capable. This is a massive marketplace where big players and companies will slowly adopt their own autonomous solutions, so there’s nothing stopping billion dollar companies like Uber, Amazon & UPS using blockchain technology to deliver their own needs and implementing them. It’ll be tricky for DAV to stay one step ahead of the competition of the future that’s for sure. The competition technically doesn’t need DAV to make this a reality, but the fact that DAV has started this concept so early prior to global adaptation of this technology could mean that those big companies do choose DAV and will become a household name to the public. One concern i do have is the thought of using the ‘publics’ autonomous cars & drones and how it could prove very hard to adopt from a legal and insurance perspective. Imagine if you loan your autonomous car out and it crashes, or one of the tires blows out on the motorway driving at 70MPH or your drone drops out of the sky due to a malfunction or error….this could be a disaster! There could potentially be people getting sued left, right and center and I think the risk to reward ration might not be there for the average joe. This is why implementing good & reliable service providers for autonomous vehicles will be the key to DAV’s success, making sure that every car & drone meet basic safety standards. We do know for a fact that autonomous transport will be adopted globally in some way or another. So the question you should ask yourself is, How do YOU see the future of autonomy? If you think it will be as common & easy as jumping in a taxi in Time Square…then DAV might just be the one for you!